I have a story out on Eurasianet about the grim Turkish town of Dilovasi, where some 45,000 souls share their community with no fewer than 150 factories. Dilovasi has become notorious as a hub for some of the heaviest, dirtiest industries around. There are, for example, two steel smelting plants that melt down rusty scrap from old ships and military equipment. There are also factories manufacturing paint and various petrochemicals and pharmaceuticals. Whilst Dilovasi is a fascinating enough industrial dystopia in itself, the reason I went there was to do a story about the scandalous efforts of local politicians to silence a scientist who has been researching the disastrous health effects of the pollution on residents. Professor Onur Hamzaoglu, head of the Public Health department at Kocaeli University, recently released research showing that toxic elements such as arsenic, mercury and lead present in the air have entered mothers’ breast milk and infants’ faeces. Dilovasi’s mayor, along with the mayor of Kocaeli, have now filed criminal charges against him, claiming he is trying to ‘spread fear and panic’ with his research. If prosecuted, he could face up to 4 years in prison. The mayors involved are both from the governing party, and they would not give an interview, I’m guessing because they want to avoid negative publicity ahead of the upcoming elections. It was frustrating, because their decision to file claims against Professor Hamzaoglu really is confusing. Everyone, including the mayor of Dilovasi who filed the complaint, acknowledges that the town is effectively an industrial disaster zone where a serious clean-up is needed. The persistence of this kind of legal persecution is one of the most depressing continuities in Turkish society. Whenever the government comes under fire for the prosecution of academics, journalists etc it hides behind respect the legal process and the separation of powers etc. It would be refreshing if the government would acknowledge for once that the judicial system is utterly dysfunctional in Turkey and in desperate need of reform. The question then would be: Can the AKP be trusted to carry out that reform? 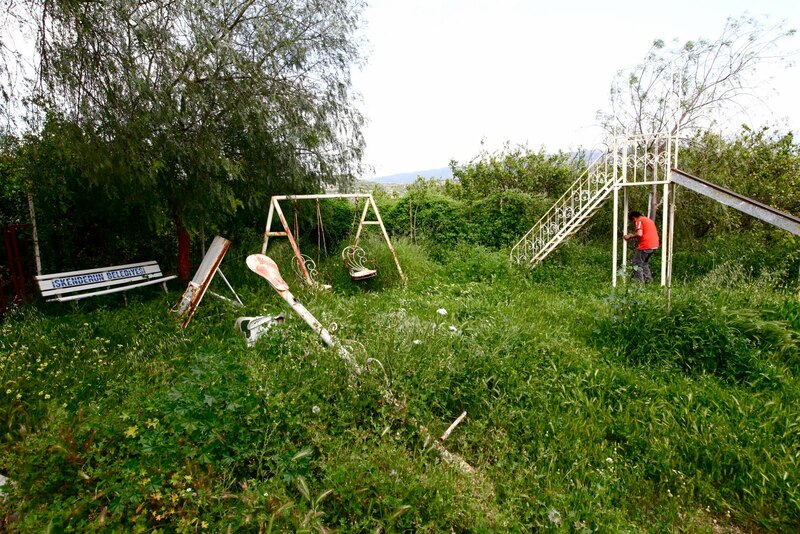 A boy in the overgrown playground at Vakifli, Turkey’s last Armenian village. Its population is dwindling as inhabitants move away to greener pastures in Istanbul, Europe and elsewhere. At the weekend, SETimes held a conference in Istanbul for its writers. The editors and directors unveiled their plans for a dedicated Turkey website (name not yet decided), with all-original content that will appear in English and Turkish. They’ve got on board a lot of new writers, some ex-Hurriyet Daily News people and some from other Turkish papers. With press freedom in such a parlous state here, it’s quite exciting to be a part of it. It should launch about three months from now, so watch this space. My recent feature for SETimes about the last Armenian village in Turkey has generated a lively, if occasionally depressing debate in the comments section of the website. You can read it here. 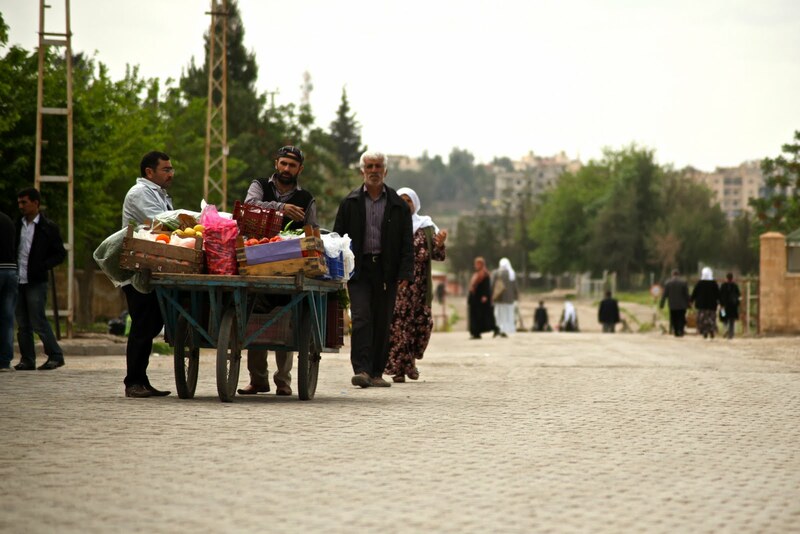 I have a report out in SETimes on unrest within the Kurdish population of al-Qamishli in Syria, which lies only a kilometre from the Turkish border city of Nusaybin. From speaking regularly to activists in the city, as well as to those elsewhere in Syria, it strikes me that the reaction of the Assad regime to protests in Qamishli has been much softer than in the south. Do they fear fanning the flames of Kurdish unrest before having put out fires elsewhere in the country? If Damascus eventually uses the same ruthless military tactics against its Kurds as it has in Deraa, Homs, and Baniyas, it could provoke an influx of refugees and spark Kurdish unrest on the other side of the border. Also, my story on Turkey’s forced gentrification projects (see previous post) has just appeared in the Christian Science Monitor; you can read it here. For the first and last word on this important and much neglected issue, see the excellent blog www.tarlabasiistanbul.com by Constanze Letsch and Jonathan Lewis.